Low back pain is a common problem, especially when patients are standing - but most MRIs are performed when patients are lying down and miss the physical symptoms causing the pain. 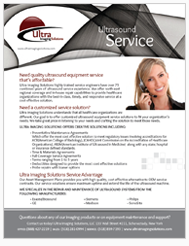 Ultra Imaging Solutions is proud to offer G-scan Brio, which makes it easy and cost-effective to acquire both weight-bearing and supine MR images. Call us today, or send us a message for a free consultation, demo, or quote. 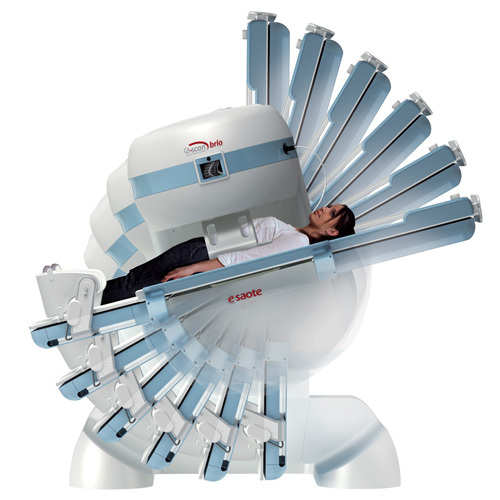 G-scan Brio features a uniquely designed magnet that pivots from 0º to 90º, creating outstanding MR weight-bearing and supine images of the spine and lower extremities. The systems's open design is quiet, non-claustrophobic and readily accepted by patients. G-scan Brio allows physicians to image anatomy in the orientation causing patient pain, resulting in images that provide evidence of the physical cause of the pain. New eXP Technology decreases imaging times by as much as 40%. 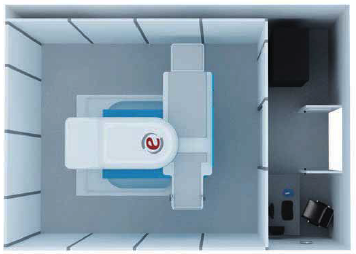 G-scan Brio can be installed in a single room to ease installation and simplify siting. 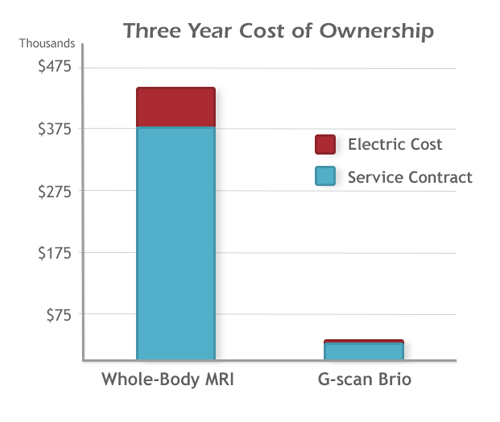 With substantially lower purchasing and operating costs, G-scan Brio can be added to a practice for a fraction of the cost of a whole body MRI system. 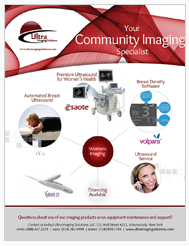 "Our mission is to bring life saving diagnostic imaging solutions to medically underserved populations worldwide."